It is your right as an employee to receive payments for the services you rendered in a firm. 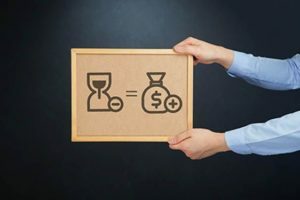 The Fair Labor Standards Act has stipulations that demand that employees get paid for the work they have done both in normal hours and overtime. If you or someone you know has been denied of the pay that they deserve for the work that they have done, it is your responsibility to reach out to a competent attorney who would help you get you your due payment. Your attorney will be responsible for your case and help you put together all the necessary resources and materials that will give you an edge in court. Rawa Law Group, a foremost legal enterprise in California boasts of an impressive track record gathered in our a-little-over two decades of selfless service. We have the experience that will bring you the results that you desire, as a matter of fact, our Wage and Hour attorneys here in Lancaster have a combined experience of 55 years, their legal aptitude has been honed and perfected through the years. At Rawa Law Group, we provide you with a relentless and consistent advocacy till your case is won, we do not press for an upfront or down payment before we take on your case, we carry on and only get settled when your case has been won in court.